A friend who has been coming along to our church for a while from a Methodist/Church of England background asked if I could recommend an introduction to the Baptists for her to read. She was interested in our history and beliefs concerning the local church and baptism. I had a rummage around on the net and this is what came up. I was familiar with Erroll Hulse, a well known figure in Reformed Baptist circles, but I'd not come across his book before. As you can see this is a 2008 reprint of a title that was originally published in 1976. As Hulse's introduction to the reprint indicates, 'Much has taken place since 1976'. Well, yes. But no attempt was made to revise this new edition, which gives it badly dated feel. This is especially apparent when it comes to the chapter devoted to Baptists in Russia Today (make that Soviet Russia, with the Iron Curtain still firmly in place) and the one on Baptists Worldwide, where the figures cited are way out of date, and take no account of the growth of Reformed Baptist Churches in the Philippines, and elsewhere in recent decades. The author's description of early Baptist history in Europe and the British Isles is more surefooted. English Particular Baptists are distinguished from their Anabaptist cousins by their espousal of Calvinistic theology. They parted company with Calvin and the Reformers when it came to believers' baptism and the doctrine of the gathered church. Hulse introduces some of the major figures in English Reformed Baptist history. Potted biographies are given of William Kiffin, Hanserd Knollys, Benjamin Keach, John Bunyan, Andrew Fuller, and C. H Spurgeon, among others. Strangely, while William Carey is mentioned, little is said about his life and labours. Others, such as Benjamin Beddome don't get even a look in. The chapter on Baptists in America 1620-1976 was an eye-opener for me. 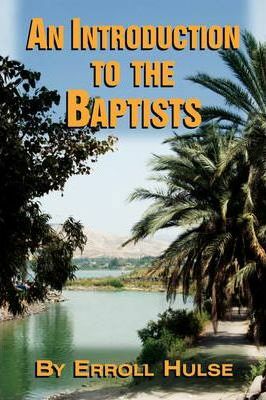 Hulse's treatment of Baptist beliefs is typically trenchant in its advocacy of Calvinistic doctrine and Baptist principles on believers' baptism and the gathered church. He wholeheartedly recommends the Second London Baptist Confession of Faith, 1689 as an expression of Baptist convictions.More perhaps could have been said on the Baptist belief in the separation of church and state that set them apart from the Magisterial Reformers and the Anglican settlement. Omitting justification by faith from his list of doctrines that need defending in these days (Chapter 6) is another example of this work showing its age, given the controversy generated by the New Perspective on Paul, not to mention ecumenical dialogues between Evangelicals and Romans Catholics in recent years. The final chapter on Baptists and the Way Ahead makes some excellent points, almost anticipating the emphasis found in Nine Marks of a Healthy Church by Mark Dever. Although Hulse insists on only four hallmarks of biblical faithfulness for Baptists: The Word of God should prevail in preaching, evangelism, church order and in daily life. Both in the historical and doctrinal sections the author also urges the importance of revival, defined as a mighty outpouring of the Spirit upon the church. In an appendix, Reflections on the Lord's Supper, Hulse argues for a 'Strict Baptist' approach to the Lord's Table, where only baptised believers share in Communion. Not all Reformed Baptists take such a 'strict' stance. Some would even allow convinced paedobaptists into the membership of a Baptist church, with full access to the Lord's Table, so long as they did not stir up controversy on the issue. An appendix to the 1689 Confession allows for such variation in practice. The book provides a useful Introduction to the Baptists. I will give a copy to my friend and it will be interesting to discuss it with her. But a similar work for the 21st Century is badly needed, one that brings things right-up-to date in terms of historical developments, and that deals with some of the pressures affecting the Baptist movement today. A little less jargon, 'free-willers', etc, would also help. Anyone know of a more suitable basic intro? If not, sounds like a job for Robert Oliver, or Michael Haykin.